Gentlemonsters, start your downloads! Why? 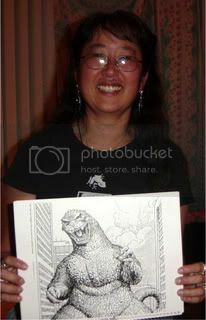 Because I’ve just wrapped up Episode number FIVE of the Kaijucast with my very special guest, Cindy Okumoto. 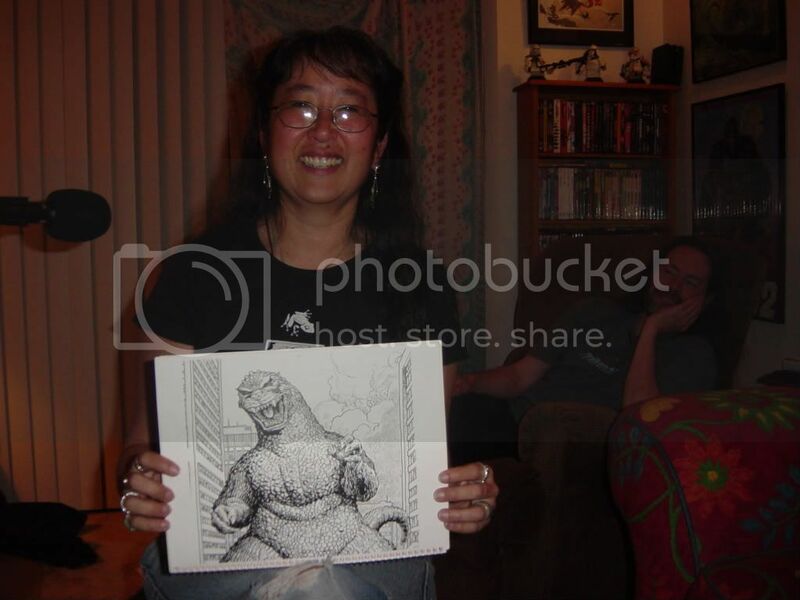 Cindy is an old friend of mine from here in Portland who not only has been entrenched in the comic book scene since I’ve known her, but also happens to love Godzilla! I met Cindy back in 1997 when I first wandered into the comic shop on NW 23rd Avenue, Planet X. And at that time, it was a godsend to find another monster fan. After Planet X closed their doors, she moved onto Things From Another working in their world HQ. She’s known a lot of comic icons and had plenty of cool stories to tell me. Aside from Godzilla, Cindy is also heavily entrenched in the local horror (I saw her and Howard at Zombie Prom!). Anyways, I had a blast catching up and we spoke for quite a while this evening about all sorts of monster-related madness. Looking for the track list from this episode? Here it is! Download the fifth episode of Kaijucast here! Feel free to write me if you are enjoying the podcasts or if you have any ideas for future shows, too.